Getting involved in your local community is so important! 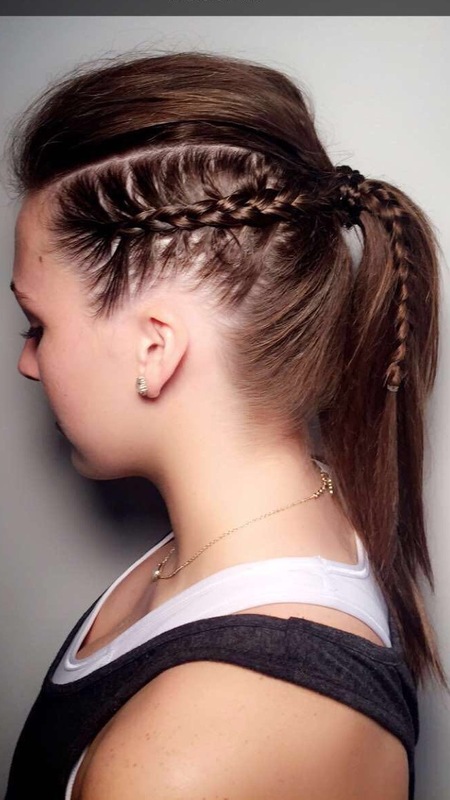 Not only as a salon team, but also on your own! We recently had the opportunity to collaborate with a local business in our area, Roll Indoor Cycling, that offers spin exercise classes! clients! It all travels by word of mouth and social media! Here is our lovely Signatures Braid Bar team. 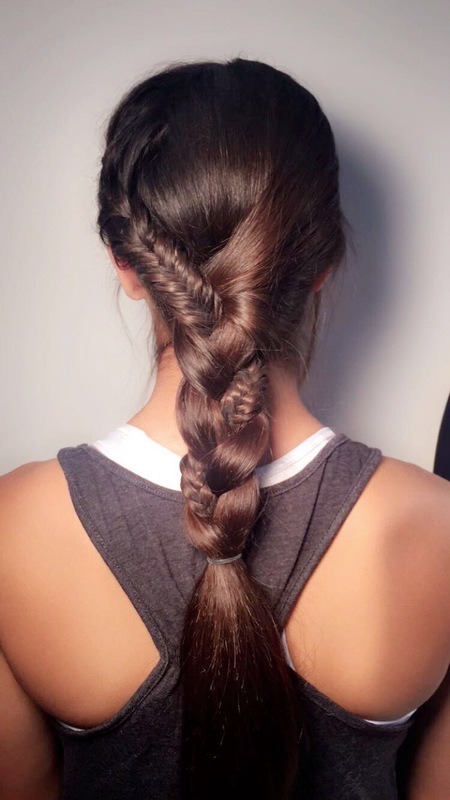 For this particular event we put on a super cool complimentary braid bar for all the guests exercising that particular Saturday morning! As you can see from this Snapchat photo, Roll Indoor Cycling is cross advertising for us, which was great! 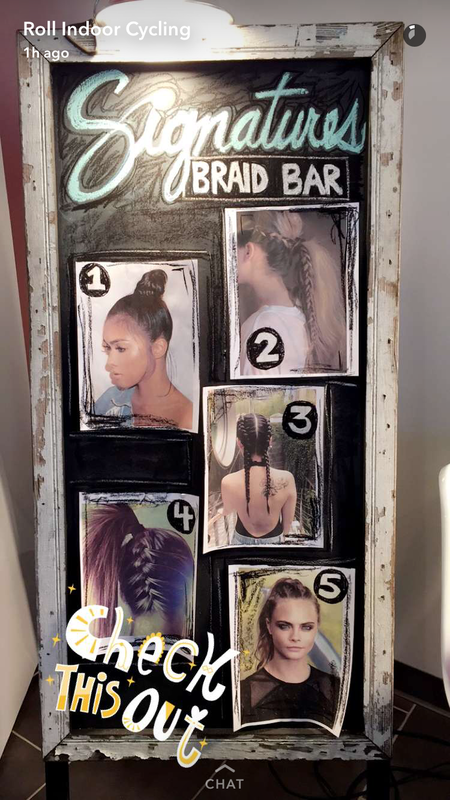 Pictured is the braid menu chalkboard we had displayed for participants to chose their braid. Working a fabulous schedule of only 3 days a week, brings along so many perks! This is one of the many! Not only does a good reputation come with being a part of your community, but you also get a sense of fulfillment! So get out there and see what you can do! 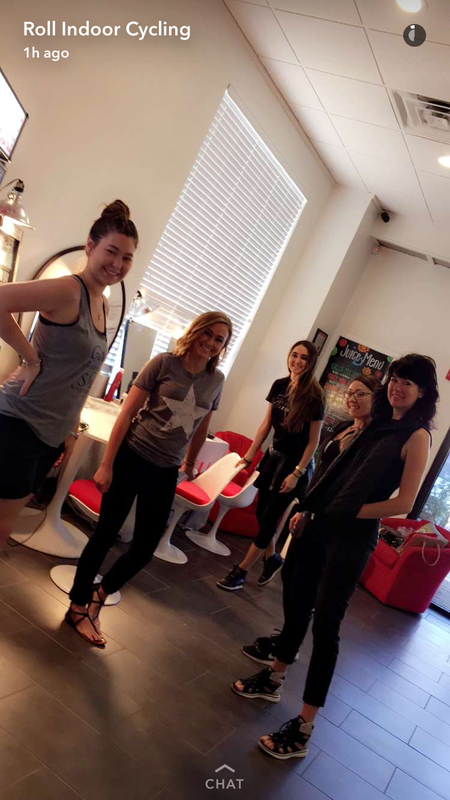 What have you and your salon team participated in recently that got you involved with other local businesses? Let us know on Facebook.